This would be such a great idea for thanksgiving. For centerpiece or for dessert either way I am sure that the family would love. Every year it seems as it comes close to the holidays our family starts to think of all the great foods that we will share. One of the best classes is the desserts everyone loves them and there is never enough. It is always fun to see who brings what and what new ones will be brought to the dinner. 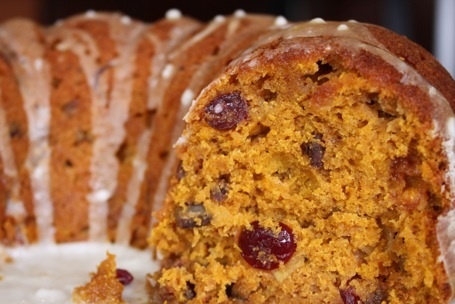 This bundt cake will make its first appearance to the holiday table. As a child my mother would always bring a delicious tea ring. The adults would enjoy with a cup of joe and the young ones like myself would have a sliver with a cup of milk. I am hoping to bring about the same tradition. Center a rack in the oven and preheat the oven to 350 degrees F. Butter a 9- to 10- inch (12 cup) Bundt pan. Don’t place the pan on a baking sheet-you want the oven’s heat to circulate freely through the Bundt’s inner tube. Whisk together the flour, baking powder, baking soda, cinnamon, nutmeg, salt and ground ginger, if you’re using it (not the grated ginger). Working with a stand mixer, preferably fitted with a paddle attachment, or with a hand mixer in a large bowl, beat the butter and both sugars together at medium speed until light and fluffy. Add the eggs one at a time, and beat for 1 minute after each addition. Beat in the vanilla. Reduce the mixer speed to low and add the pumpkin, chopped apple and grated ginger, if you’re using it-don’t be concerned if the mixture looks curdled. Still on low speed, add the dry ingredients, mixing only until they are incorporated. With a rubber spatula, stir in the cranberries and pecans. Scrape the batter into the pan and smooth the top with the rubber spatula. Bake for 60 to 70 minutes, or until a thin knife inserted into the center of the cake comes out clean. Transfer the cake to a rack and cool for 10 minutes before unmolding, then cool to room temperature on the rack. Just before bringing the cake to the table, dust it with confectioners’ sugar. Thanksgiving is the time of year to give thanks. The characters and friends of Charlie Brown and Snoopy celebrated thanksgiving a bit different than many of us will but the thought and meaning was there. 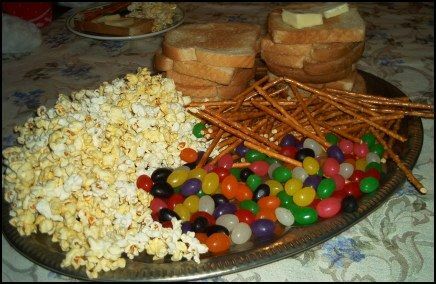 So they celebrated with popcorn, jelly beans, toast and pretzels I thought I would share a delicious popcorn treat with you. I am sure that your guest will not only be a bit surprised but love them as well. On the stove top, bring corn syrup and sugar to a boil. Remove from stove and add jello mix, mix well. If you would like the flavor to me more subtle, use only 2oz of jello. Add mixture to popcorn and mix till well coated. Form into balls. Use about one cup of the popcorn mixture per ball. You'll want to work quickly. The mixture hardens up roughly the same way rice crispy treats do. With one hand hold onto the popcorn ball when you place the lolipop stick down the center of it. You might need to form the ball again, if it begins to break. Let set up for about an hour. In a large bowl combine black-eyed peas, black beans, and bell pepper. Run corn kernels under hot water and drain. Repeat and let sit for a few minutes. Add vinegar, oil, lime juice, minced garlic, cilantro, and green onions to bean mixture. Stir to combine. Mix in corn and season to taste with salt and pepper. 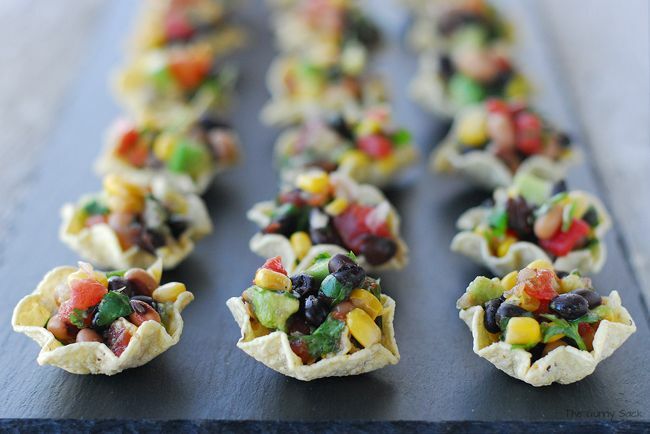 Serve in tortilla chips. Combine flour, baking powder, baking soda, cinnamon, cloves and salt in small bowl; set aside. In the bowl of a stand mixer fitted with the paddle attachment beat eggs and granulated sugar until thick. Beat in pumpkin. Stir in flour mixture. Spread evenly into prepared pan. Sprinkle with walnuts. Bake in preheated oven 13 to 15 minutes or until top of cake springs back when touched. Immediately loosen and turn cake onto prepared towel. Carefully peel off wax paper. Roll up cake and towel together, starting with narrow end. Cool on wire rack. 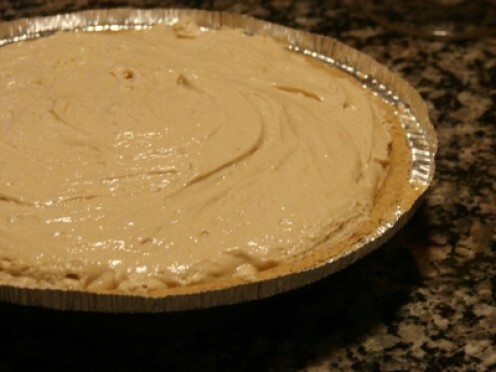 To make the filling cream cheese, combine powdered sugar, butter and vanilla extract in the bowl of a stand mixer fitted with the paddle attachment until smooth. Carefully unroll cake. Spread cream cheese mixture over cake. Reroll cake. Wrap in plastic wrap and refrigerate at least one hour. Sprinkle with powdered sugar before serving. An average of 42 million Americans smoke cigarettes. Tobacco is the single largest preventable cause of disease and premature death in the US. An average of 1 out of every 5 adults smoke. Turkey skin, drippings, or gravy. While many think that these items may be delicious and a treat of source for our pets the truth is that it may harm them. Items such as these can lead to our pet having pancreatitis or inflammation of the stomach or intestines. 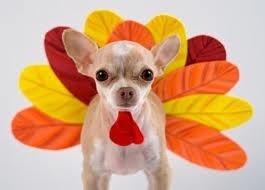 Turkey bones are extremely brittle and are never good for our pets. While we have always heard of giving the pet the bones its their part of the great dinner the truth is that it may be the last dinner. The bones have the ability to puncture and break inside their digestive tract They should NEVER be given to our pet. Brag About It Tuesday Link Party - VMG206. Tuesday Pinspriation Link Party - Oombawka Design. Dissolve both boxes of Jell-O in the hot water. Add the cold water and stir until Jell-O is dissolved. Drain pineapple; add juice to the Jell-O and chill Jell-O until slightly jelled. Then combine all ingredients with the Jell-O and mix. Chill. 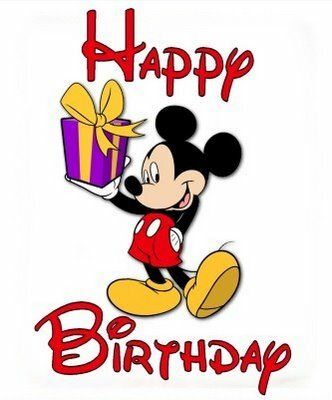 Today is the date in 1907 that Oklahoma became a state. No better way to celebrate than with Oklahoma Joe beans. Best Beans on the Planet.